AFFIRMATIVE Action Group (AAG) vice president Mr Sam Ncube and others have quit the organisation alleging frustrations within the lobby group. Mr Ncube told Business Chronicle he recently quit the AAG together with some of the organisation's Matabeleland Chapter executive members. "We have quit AAG because we felt that it is no longer representing the interest of the less privileged people as some of the executives are persecuting those people they are supposed to represent," he said. "Retired Major Clement Malaba who was the secretary general, Mr Silani Mtshiya (chief executive officer), Mr Dixon Moyo and other committee members also left because we wanted to clear our names after noticing that what was happening was anti AAG spirit." He said AAG Matabeleland Chapter provincial president Mr Reginald Shoko was now at the helm of the organisation in the region. Mr Ncube said they were also frustrated that decisions at AAG were now being made unilaterally. "We were also frustrated that decisions at AAG are no longer passed by the executives but by certain individuals whose aim is to pursue personal aggrandisement, which in our view is against the objectives of the organisation," said Mr Ncube who joined AAG in 1994. "At one stage we fired Mr Shoko for not consulting the executive on issues relating to the running of the organisation and this did not go down well with the AAG immediate past president Mr Chamu Chiwanza who reinstated him." Mr Ncube is one of the founder leaders of AAG and once served as Matabeleland regional president before elevation to national vice president. Commenting, Mr Shoko said all the provincial structures were dissolved when the term of the immediate past president Mr Chiwanza expired last December. "They are not telling the truth. What happened is that all the provincial structures were dissolved by AAG council of elders when the term of Mr Chiwanza expired. The AAG council of elders has categorically stated that no one at the moment should speak on behalf of the organisation," he said. 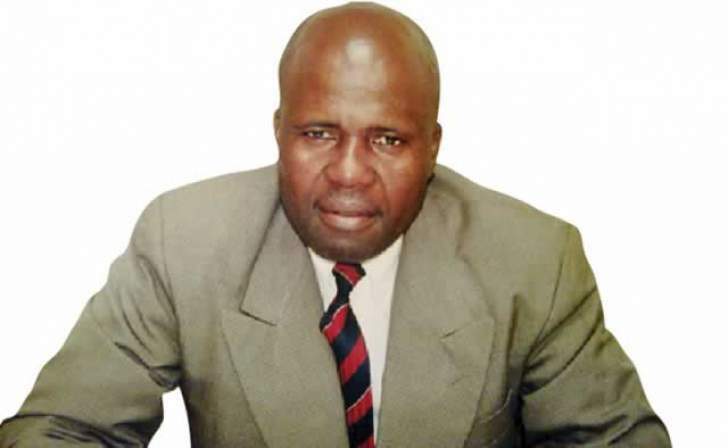 "Following the expiry of the term of office of the AAG national executive committee led by Chamu Chiwanza in December 2017, the founder president Dr Philip Chiyangwa advises that until further notice, the national executive committee and all regional chapter executive committees stand dissolved with immediate effect." Accordingly, he said the founders' council has assumed responsibility for the day to day work until a new leadership has been appointed. "The founders will advise on the new leadership as soon as the team is in place and substantively appointed," said Dr Chiyangwa. AAG was formed in 1994 by businessmen Peter Pamire, now late, and Dr Chiyangwa after the Indigenous Business Development Centre failed to influence swift changes for the economic empowerment environment to favour indigenous business people.